I got my package today! Yay!!! There is nothing better than getting your S.O.A.P. Panel fragrances! Well, there is one thing… my BB order came in today too! It’s a BB product extravaganza! Awesome is it not?!?! Anyway let’s get into the stuff we really want to know about. The mysterious S.O.A.P. panel fragrances. They are labeled gardenia 1, gardenia 2, gardenia 3, mystery 4, mystery 5, mystery 6, mystery 7, mystery 8, mystery 9, and mystery 10. Gardenia 3: Strong gardenia smell, maybe a hint of rose? Now I am not saying that is what I think these FOs are… but these are the notes and scents that come out to me right out of the bottle. 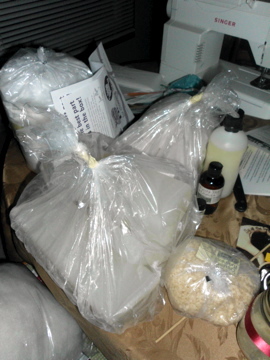 This weekend will be a soap/bath bomb/linen spray intensive weekend and I can’t wait! 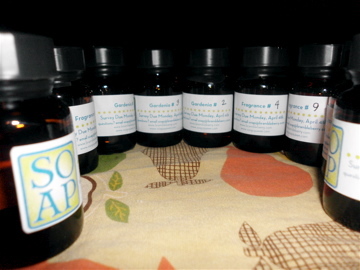 LOVE that you blogged about the SOAP panel – yee haw! Thank you again for being on the panel. I can’t wait to hear what you think. And, I am super excited that you’re figuring out notes from OOB. That is awesome and we’re lucky to have you on the panel. Oh this is so exciting! 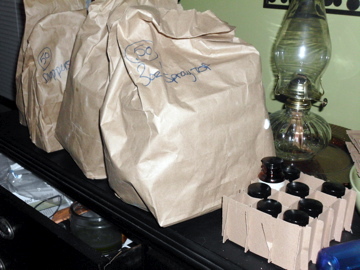 Gardenia is my favorite flower and I can’t wait to see what comes of these tests! Lucky you to be on the S.O.A.P. Panel! Gardenia is my favorite floral scent. But I have not found one that is like the real thing. I am hoping thst there is one in this group!